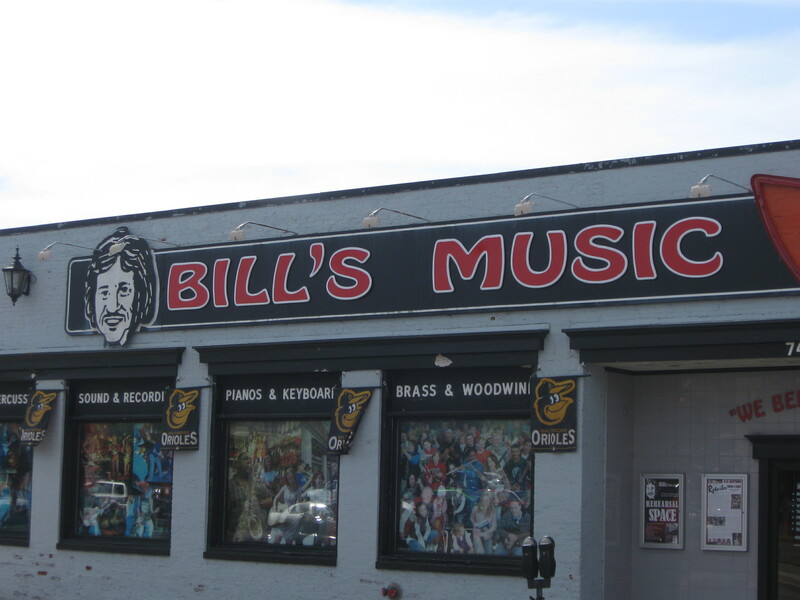 In strolling through my town, I found this typeface not just on the sign for “Bill’s Music,” but also on three other storefronts. For “Music City Maryland,” I feel that this typography is appropriate. 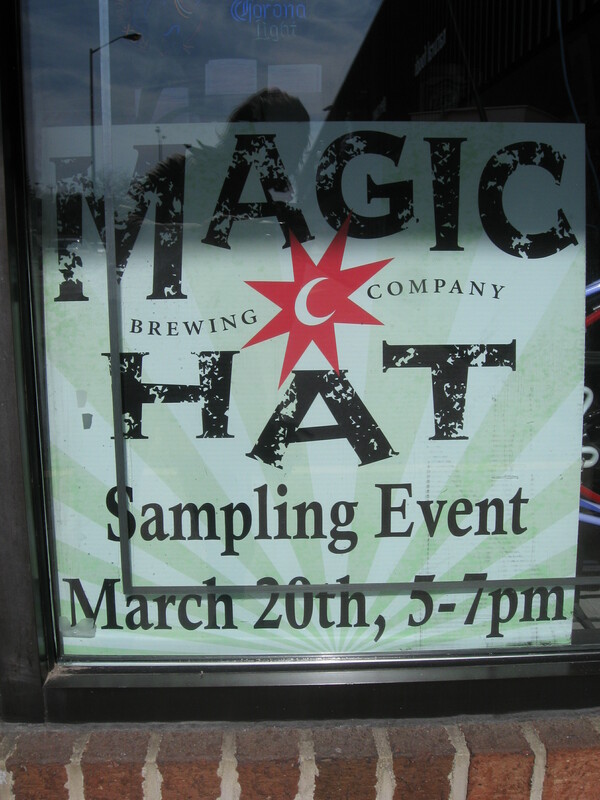 Catonsville is a small town, but not a cute, quaint one; rather, the growing downtown has a working class feel. This typeface is simple and straightforward, and the curves add fun; free of flair and intricacies, but full of a lively spirit, this typeface embodies the local flavor of this town. 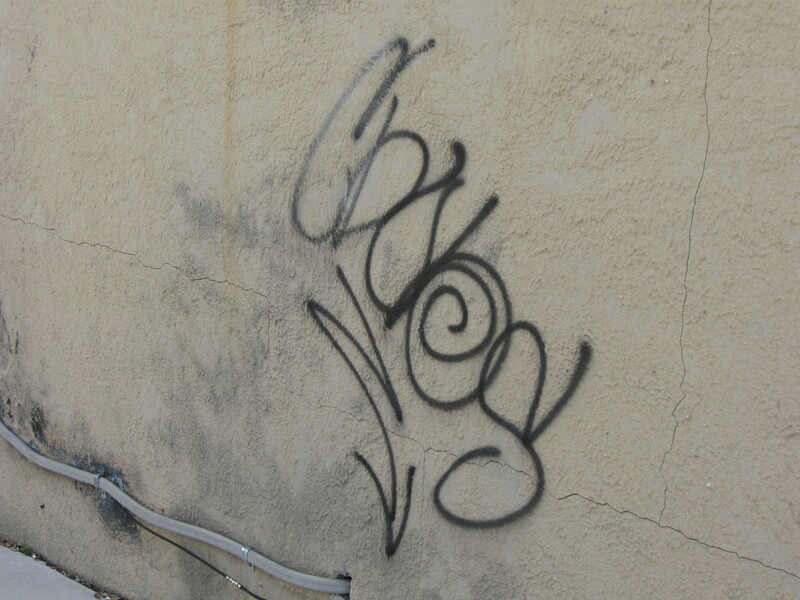 Graffiti is a style of typography that may not be ignored during a thorough research project of typography. Though it is usually not appreciated by businesses, it is scattered across the buildings in both urban and suburban regions. This style of typography carries interesting undertones; the artistic curves are usually illegible, making the forms more important than the message. Perhaps, if graffiti was seen as an art form, rather than vandalism, it could be used for business promotion rather than harm. I feel that this picture embodies the typography of suburban America. Shopping centers thrive in cities and towns surrounding metropolitan areas; though everyone would love to be able to walk to a local grocery store, shopping centers like these are often the main source of everyday goods and services for the working and middle classes of the suburbs. The typography, I noticed, does not have to be fancy or establish a brand; it simply needs to deliver the store names. 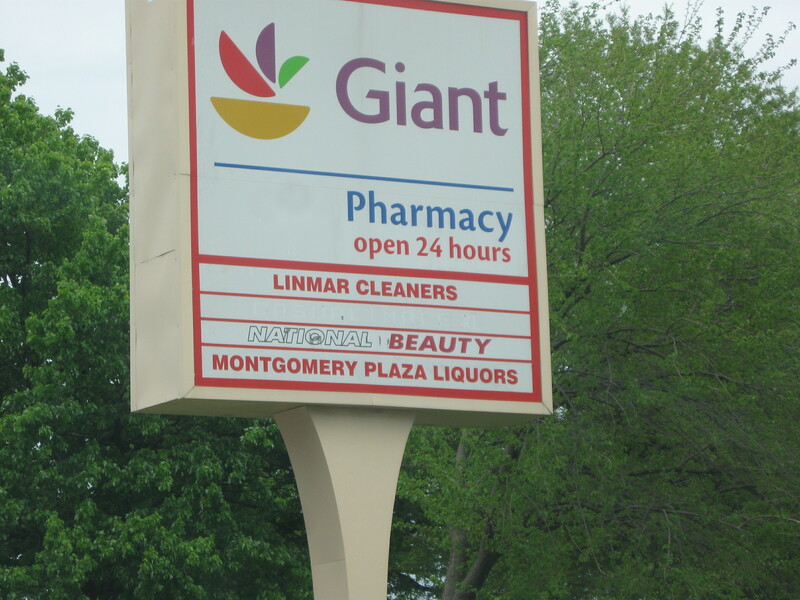 Besides the “Giant” logo on the top of the sign, each title on the shopping center sign is written in a plain, straightforward sans serif typeface. Another great example of typography from the local liquor store – neon typography. 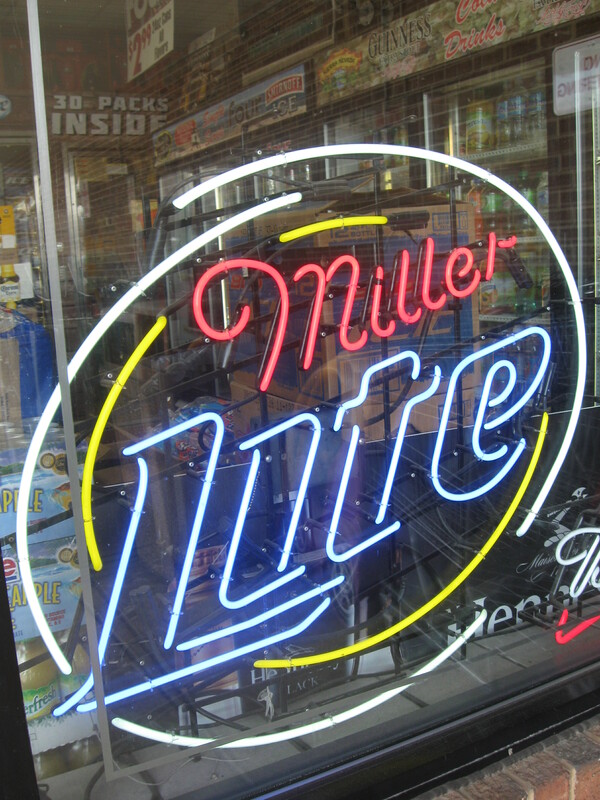 Neon typography, I noticed, is used sparingly in most storefronts – except liquor stores. The reasons are obvious. First, these signs simply do not have a professional, corporate look; the viewer not only sees the neon type, but also the unlit parts that provide structure to the typographic forms and graphics. In addition, liquor stores receive most of their business in the night hours; neon typography is perfect for these conditions, as the colors and lights are easy to see. Most businesses, however, do not operate under these conditions. It is clear that neon typography is an important design choice for some businesses, but definitely does not fit into the aesthetics or needs of most stores. With my next wave of research, I revisit items in my home and town. One of the first typographical items that stands out to me in my kitchen is the design on Harry and David’s “Moose Munch” container. 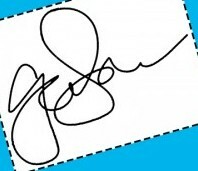 The type is unlike many large brands; it features childlike writing to identify the product. 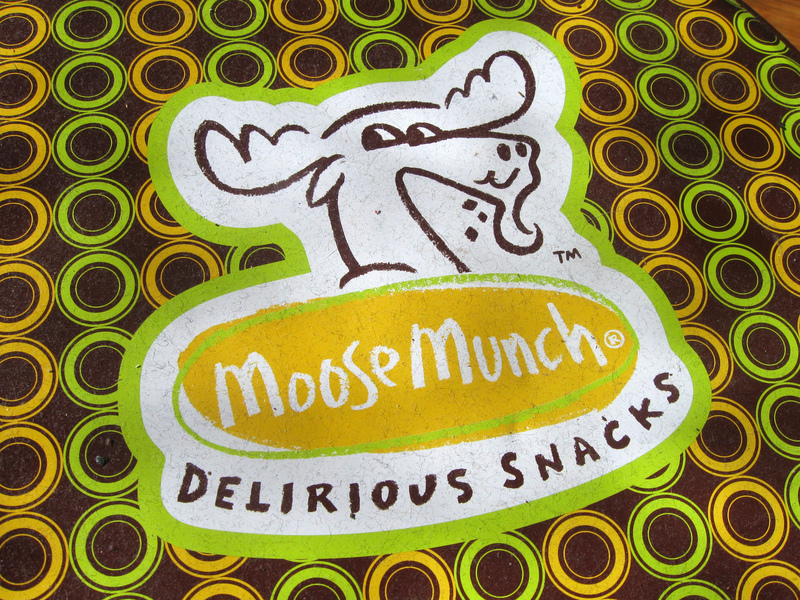 Not only is “Moose Munch” written with the charming print of a child, but it is also styled to look as though it was written with a crayon. This choice of typeface stamps the product with a fun, familiar feeling–completely appropriate for a beloved snack food. As shown by this product, friendly, informal typefaces can be utilized successfully to distinguish a brand. Quite obviously, the idea of logotype inspired me… And after watching this video http://www.ted.com/talks/lang/eng/paula_scher_gets_serious.html (posted by Professor Sullivan for my ART620 class), I thought to myself: I have nothing to lose. I’m ready for serious play! I took my first steps toward typeface design. So, already having a business idea at work in my mind from earlier this year, I set to work. I settled on the name of Restoration designs and registered. Next, the fun part: creating the logotype! I started a sketchbook of thumbnails and got to work in Illustrator to create the type forms. 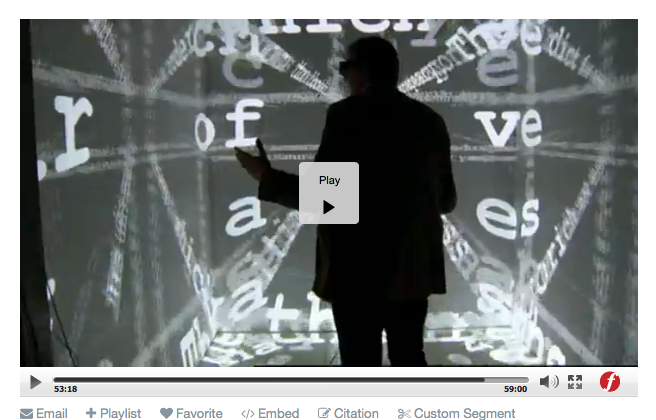 Utilizing the grid view in Illustrator, the formation of type seemed to flow naturally. I made sure to keep curves uniform and include the Old Style contrast that I love. The only aspect of these designs that is not cr eated from scratch is the tagline, which features Baskerville (italic). Sans serif, though…Even a surprise to me! I fully expect this logotype to evolve over time, and I am open to discussion. However, as my first attempt, and truly an act of serious play, I am content. For more information on my newly registered business, please visit http://www.restorationdesignsmd.com/. Side note: Adobe Muse is an absolutely wonderful program. Looking through my closet, I find an ASUS monitor box, and I snap a picture of the logo. 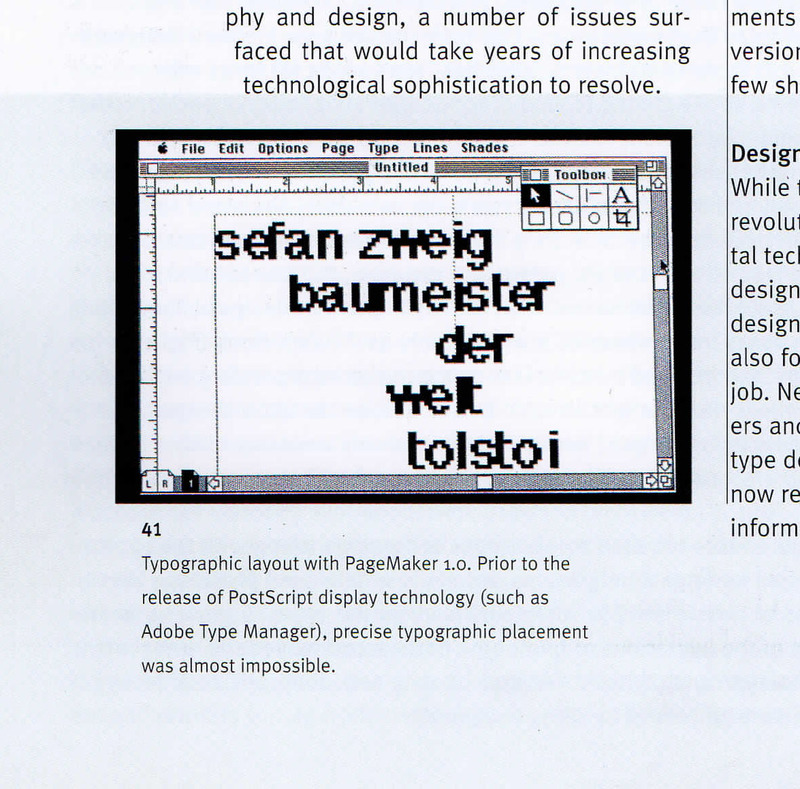 I immediately recognize that what I truly love is logotype. There is something so special about a typeface that defines a company, especially if it is designed specifically for that business. This type does not use the stroke contrast that I so dearly love, but with sliced letters, it creates a swift feeling of purpose. It completely embodies the concept of the company. Like hand-painted typography, it is unusual and singular in purpose. However, for this singular purpose, it may be reproduced endlessly. It contains the beauty of both worlds. Industrial typograph y: so simple, so graphic, so solid. For the sake of being a well-rounded researcher, I also document the typography of these industrial businesses. 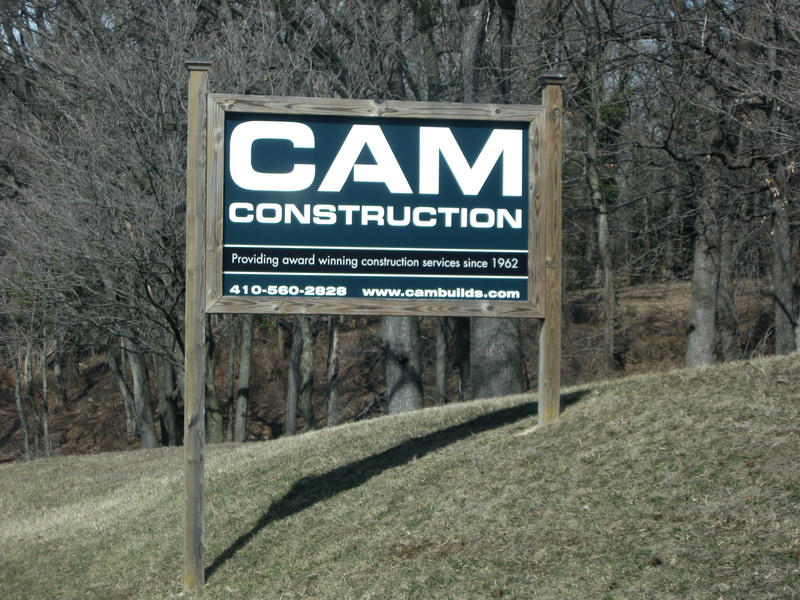 The CAM Construction sign may be found on Maiden Choice Lane in Catonsville, and the typography of Cockey’s Enterprises, Inc. is on the trash container in my yard. 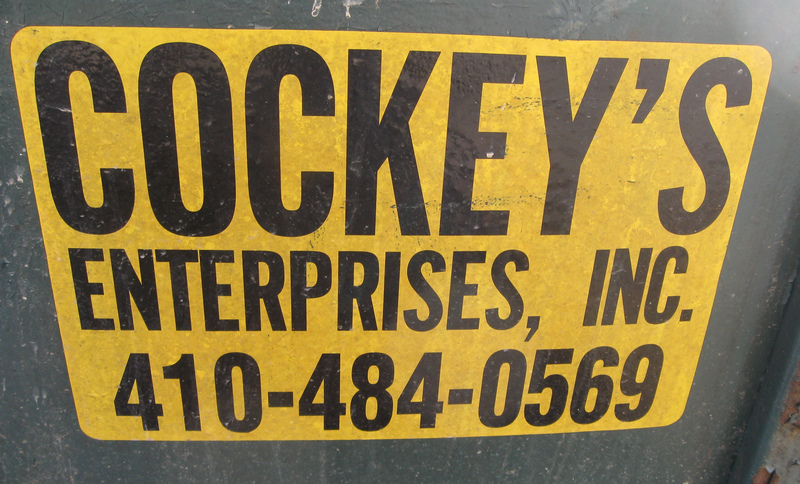 Cockey’s typeface is clearly used for readability and identification, not branding or beauty. The CAM typography has more noticeable qualities, although it is still very basic and straightforward. I understand the importance of using simple, direct, and highly readable typefaces; however, they are not visually stimulating to me. It is clear that I am more interested in creating a more recognizable typeface, with provocative contrasts and greater differentiation between strokes.